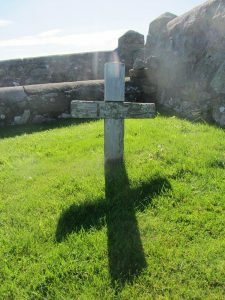 Mounting to wall: The cross stands in the graveyard of the church. Condition: The wood is quite well preserved and in reasonable. 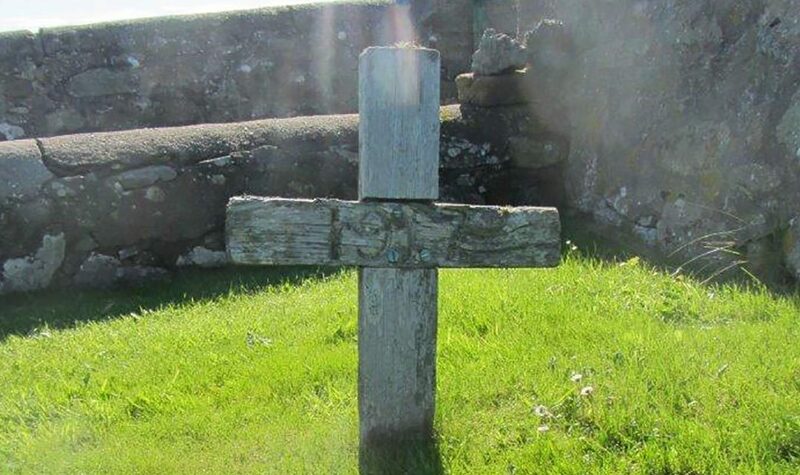 It’s believed to be an unknown burial in 1917, but information is scant. Many thanks to Laurie Moncrieff in Shetland who provided the information.